This past week I was in the Washington D.C. area (Silver Springs, MD). 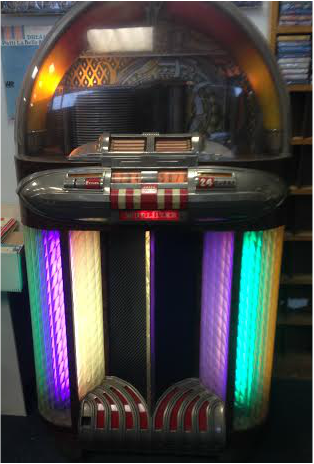 I walked into this old record shop and what did I see but this old jukebox. 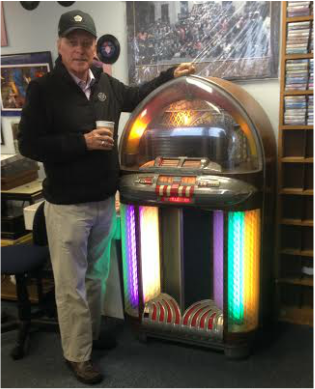 If you are from the 50s’ you gotta remember these things…think how many quarters we all dropped into the machine to hear our favorite songs. Back then you could get six plays for a quarter. Jukeboxes and pin ball machines. Oh my! Kenny Rogers, when he spoke at Schlitz’s induction into the Song Writers Hall of Fame said, “He is brilliant, unpredictable, compassionate and wise.” Schlitz told me that Rogers asks for a first look at anything he now writes. Rogers was equally as kind as Schlitz was on this morning. In fact, Rogers invited me to play his private golf course. Later, on one of my trips back from Augusta to New Jersey I stopped just outside of Albany, Georgia where Rogers was living at the time and along with the tournament director of the Georgia State Golf Association we played his course. Rogers personally designed every hole and it was private. Very private. We, along with Roger’s dog, were the only two playing that day. Don Schlitz often plays the songwriter’s venue here on the west side of Nashville, The Bluebird. He does a nine p.m. show that he labels, “Dollar Night with Don.” If you ever have the opportunity to go, I can assure you will get more than your money’s worth. This past summer I was back in my home town in Indiana playing in a city golf tournament. What I was doing in a golf tournament is a good question. While there, as I generally do,I stayed with my nephew David and his wife Kathy. One night late I was sitting at his desk using his computer when I looked to my left and saw a picture he had sitting on his desk. It caught my eye. I stopped what I was doing and picked up the picture. First I smiled and then I felt some other emotions come over me. The picture was of my brother, my nephew and two niece’s dad. In the picture with him was his best friend. 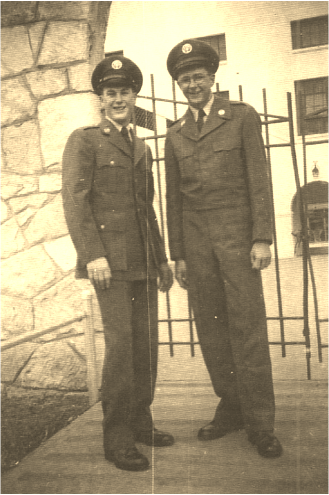 They both were in their military Air Force uniforms having just completed basic training at Lackland Air Force Base in San Antonio, Texas. 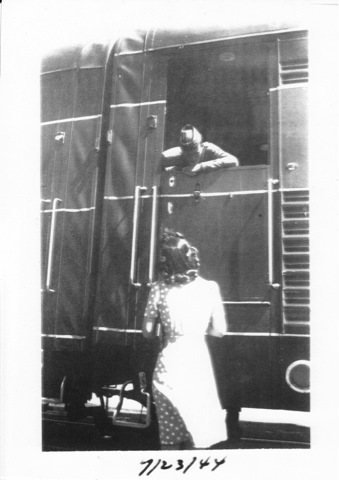 The year was 1950 and very shortly my brother would be shipped out to Korea. He would be there for one year. It was the time of the Korean War 1950-53. Author David Halberstram wrote a very good book about this war, The Coldest War and in Clay Blair’s book he called it The Forgotten War. If you grew up in the late 50s’ most towns had their local rock-n’-roll music people. Our area was no different. There was The Five Chords, The Fascinators and a group of girls I reference in one of my ramblings back in July of 2013. 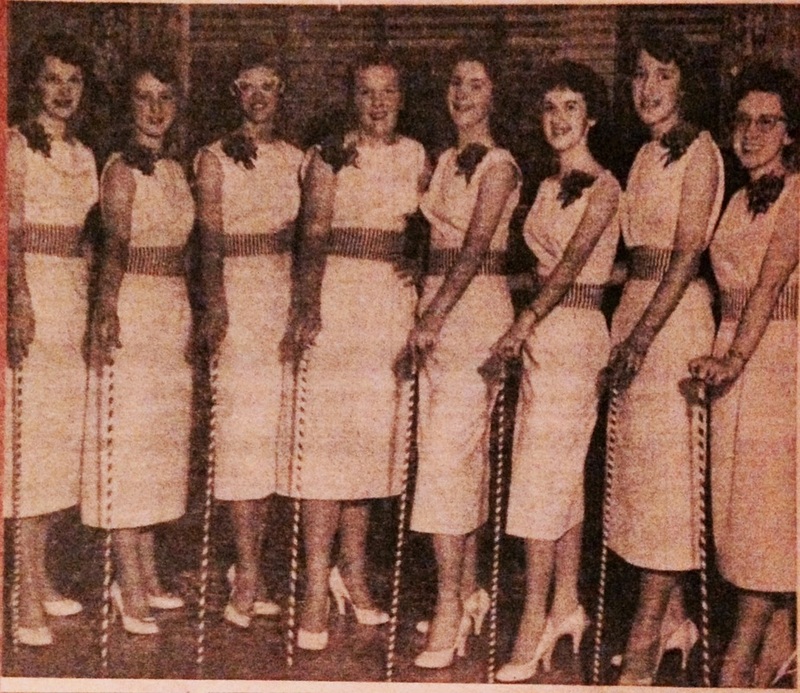 The group was made up of eight high school girls calling themselves The Kandi Kanes. This coming February while spending time in Florida my wife and I have booked a cruise. It is an eight day cruise called “Rockin’ the Caribbean.” It will featured a number of old rock-n’-roll groups and performers from the late 50s’. It should be a good time. Hey a really good time. While the Kandi Kanes will not be appearing on the cruise I just wanted them to know that even with the passing of time they have not been forgotten. Local remotes on the radio with local talent was very common. I can remember driving the strip on a Saturday night at 9 p.m. and hearing a disc jockey Bob Rousch or Johnny Palmer bring on the Noel Davenport Trio, “live” from the Wayne Newton American Legion Post. Chuck Berry’s birthday is October 18, 1926. The man is 88 years old. Can’t be. I wrote the following back in 2011 just a few days after seeing him in St.Louis. And yes, I did see him in prison but as I said, that’s another story. For the past ten years I have had the good fortune to work as a volunteer at Vince Gill’s celebrity golf tournament that he sponsors here in Nashville. This year was the twenty-first year for it. Over the years I have been involved with transportation, getting folks to various locations, airport, golf course, hotel, etc. Once I was even called upon to take a celebrity’s dental plate that he broke while playing to the dentist. Meadowlark was a true gentleman. A man who has been in ninety plus countries, played in more basketball games than any man alive and has more stories than Mark Twain could have ever told and yet he still wanted me to know something more about him. 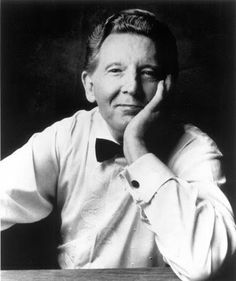 Recently I saw Jerry Lee Lewis for the umpteenth time in my life. He played the Ryman here in Nashville. This past month (September 29, 1935) he turned seventy-nine years old. I first saw him in 1958. In 1975 I saw him four nights in a row, two shows a night at a small club in Indianapolis. The “good attendance” got my cousin and I an invite from Jerry to come back to his dressing room and meet him. Which we did. Jerry is the only one still living out of the stable of performers that got their start at Sun records in Memphis. Elvis, Roy Orbison, Johnny Cash, Carl Perkins all are gone and Jerry remains. Vegas once would have given pretty good odds that this would not happen. I have been fortunate to have seen what I think are some of the most famous performers in my lifetime. Sinatra, saw him numerous times, saw Elvis, Orbison, Fats Domino, Rick Nelson, Johnny Cash (also numerous times) Chuck Berry and Buddy Holly. But there is only one Jerry Lee. During this recent show in Nashville I stood in the back of the performance hall and talked for some time with Jerry’s niece. She and her mother, Linda Gail Lewis had opened Jerry’s show that night. She remarked that while Jerry’s health is not good he was having a good week and had looked forward to performing in Nashville. The song he did prior to his closing number last night was a song he recorded some time back entitled “I Wish I Was Eighteen Again. I would say to Jerry, you are not the only one with that wish. That first line was said to me not long ago by a man who had been in ninety-two countries. Not states, countries. I picked him up at the airport to take him to his hotel. I would be spending some time with him over the weekend as he was in Nashville for the Vince Gill’s Celebrity Golf Tournament. 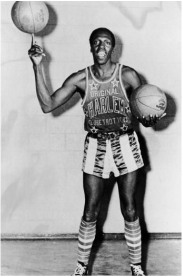 He is the legendary Harlem Globetrotter, Meadowlark Lemon. Lemon played for many years with the famed group and traveled the world. He shared stories with me about playing in areas where there were snakes on the court, on aircraft carriers in distant seas and in places neither of us have ever heard of before. I can remember standing in the Coliseum in Rome and thinking this is a lot bigger than Butler Field House. I stood and listened as the guide told stories of the people who lost their lives on the floor of that arena. I can remember sitting in the “town square,” no that is not what they called it, in Florence, Italy, and thinking what am I doing here? I have been in the Alps of Switzerland and Germany at Hitler’s hideaway and looked at the initials American soldiers had carved in his desk. I have watched the changing of the guard in London and heard Big Ben ring. I walked the beaches at Normandy and sat in the bunkers in the mountains of Germany where the Battle of the Bulge took place. I remember standing on the deck of the ship looking down at the narrow passages as we sailed through the Panama Canal and later in the dense jungle rainforest of Coast Rica. I remember watching huge ice caps break while sailing in the waters in Alaska. I remember standing on a rock in Greece where they claim the biblical character Peter or Paul might have stood and walking the Biblical ruins of cities in Greece. I remember a dinner cruise on the Nile River in Egypt one night and thinking back to my first two Sunday school teachers, Goldie (MacDonald) and Grace (Hoggart), and wondering if baby Moses was still among the bull rushes. I remember seeing the ancient pyramids. I remember walking in the market places in Cairo, Egypt, and thinking how these are the most miserable people I have ever seen. They don’t even like each other. I remember a fall evening after a great day of golf in Ireland; and then my wife and I, along with good friends, eating a wonderful dinner at a BB overlooking the ocean. It truly was something out of a book or movie. I remember standing in the showers and seeing the ovens in Dachau, Germany and thinking how could one man be so evil to want to do these things to other human beings? I told Luke that his Mimi went to Russia to work and live in a street mission for kids. So, how many countries has Luke’s grandfather been in? It certainly is not ninety-two like Meadowlark, but it’s far more than I ever imagined from my small beginnings in Pimento, Indiana. I feel very fortunate to have been a lot further than my mailbox. I hope someday my grandchildren can travel to foreign lands too. Yes, Luke, I hope you do get to go to Japan. Recently I was back in Indiana visiting some old friends and playing golf in a town where we once lived and coached. That evening they were having a street fair so we all took some chairs and found ourselves near the stage for a show that would feature an old rock-n’-roll act. 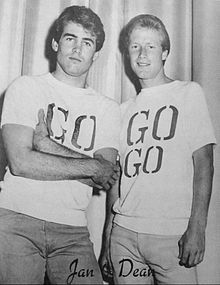 The act was Jan and Dean from the late 1950s’. As I sat and watched the show I was reminded of a story that involved Jan and Dean. At the time of this performance Jan was no longer a part of the act as he had died in March of 2004. Jan Berry was in a serious car accident in 1966. He did recover enough to continue performing but physically and probably mentally was never the same. Kindness comes dressed in a lot of different costumes. Two years prior to Jan’s accident one of their hit songs had been a thing called “Dead Man’s Curve.” In 1966 Berry in real life lived the lyrics of that song. Driving too fast in a sports car Berry crashed and he was left with some speech, mobility and memory problems. But in the years that followed the duo continued to work the road and perform. Even under the best of circumstances such a life for a performer can be a strain. When performing and going out on the road often the band would be waiting for Jan to meet up with them to make their travel schedule. On one such occasion Dean went looking for Jan as the band was about to board a plane. Dean found Jan in a little coffee shop sitting at a table all alone. On difficult days when bouts of confusion were so much a part of Jan’s life things of a daily routine became difficult. On this day Dean, seeing Jan sitting alone trying to manage breakfast, goes to the table and pulls up a chair across from Jan. They talk quietly. Then Dean can be seen reaching across the table for Jan’s tray. He picks up a small jelly container along with a pad of butter and proceeds to butter and jelly Jan’s toast. He then cuts the toast into small pieces so it will be easier for Jan to manage. He then slides the tray back to Jan.